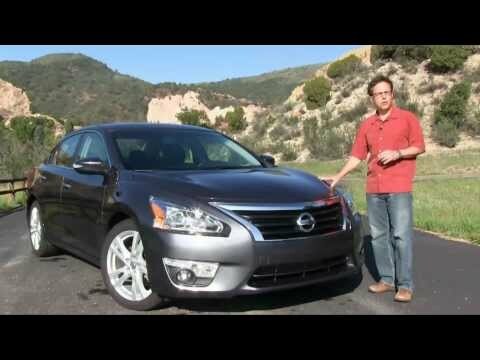 The 2014 Nissan Altima is the family sedan with a little bit of sports car built into its soul. Sleek styling and a handsome interior are only part of the Altima's allure as it also offers the choice between a fuel-efficient 4-cylinder and potent V6 engine. Nissan's navigation and audio units also earn high praise for the user-friendly interfaces. Nissan Altima has it all! My Nissan Altima is a dependable vehicle that looks terrific, keeps me safe, drives well, and delivers when it comes to convenience. First of all, I love the interior, which is quite comfy, with a streamlined dashboard and easily adjustable seats, seat belts, and steering wheel. It is not a sports car, but the Altima looks sporty and, honestly, like a luxury car. It drives smoothly and it is fun to drive, too! I enjoy accelerating because I do not feel the gears shift like other cars. My Altima also keeps me safe in difficult conditions. She handles extremely well in any weather, and the anti-lock brake system has helped me navigate hazardous conditions and avoid accidents. Also, the keyless entry system is terrific; I do not have to dig in my purse to find my keys, and do not have to fumble with them when getting in my car, which is another important safety feature for anyone who is alone. Finally, convenience is important to me, and with the remote engine start, I can rest easy knowing I will not be getting into a cold, icy car on frigid days. I can remotely lock the car and open the trunk too. This is my second Altima and when the time comes (they last and last) my next car will be an Altima also. Good looks, safety, convenience. My Nissan Altima has it all! My Nissan is a perfect luxury car with loads of fantastic features. I have not had any problems. Only thing I have had done is rotate tires, oil changes and update the navigation. It is a comfortable luxury vehicle and rides great. The gas mileage is phenomenal. I get at least 34 miles per gallon city and usually get 44 miles per gallon on trips. My only complaint is a little road noise, but that is not very bad. Maybe lacks insulation in doors or around wheel area. All in all this is a great vehicle! This one I plan to keep for a long time. It has plenty of legroom in front and back seats. It has all the bells and whistles, including leather, heated seats and steering wheel, as well as all the driving safety features. I had two Jeeps prior to this car and they were horrible. The first was a Jeep Cherokee and it was in the shop more than I had it. Then I upgraded to a grand Cherokee and it also had problems. No more Jeep, but yes to Nissan! Love it! The factory sound system. Smooth driving. Great on gas. I previously owned a 2008 Nissan Altima, it was a little outdated but I never had any problems out of it. I totaled that car almost 2 years ago. When I was in my accident I rear ended someone, the air bags did come out but I was lucky not injured. I started looking for a new car and I knew I had to have another Nissan. They are by far my favorite cars. I get amazing gas mileage. I happen to have the model now that comes with remote start which is wonderful for hot summer days or cold winter mornings. I love the way they drive, every Nissan I have ever been in has driven very smooth. When traveling I always take my own car because I trust my car to get me anywhere I need to go. It has never broke down on me. I will forever buy a Nissan for my own personal car.